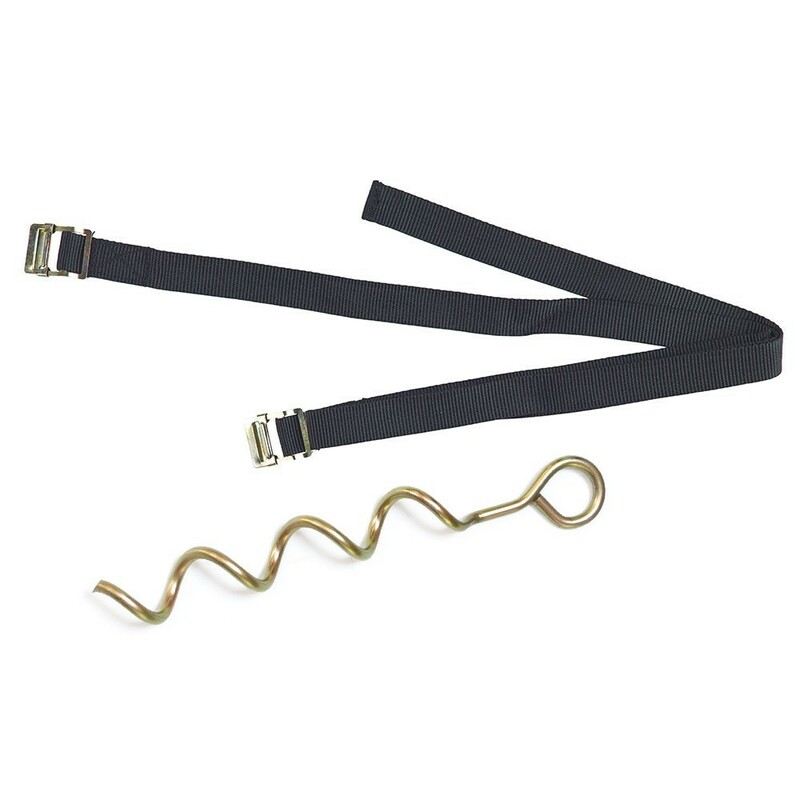 The anchor kit is strongly advised to avoid your trampoline from blowing over or moving around. It can be indispensable in windy regions. 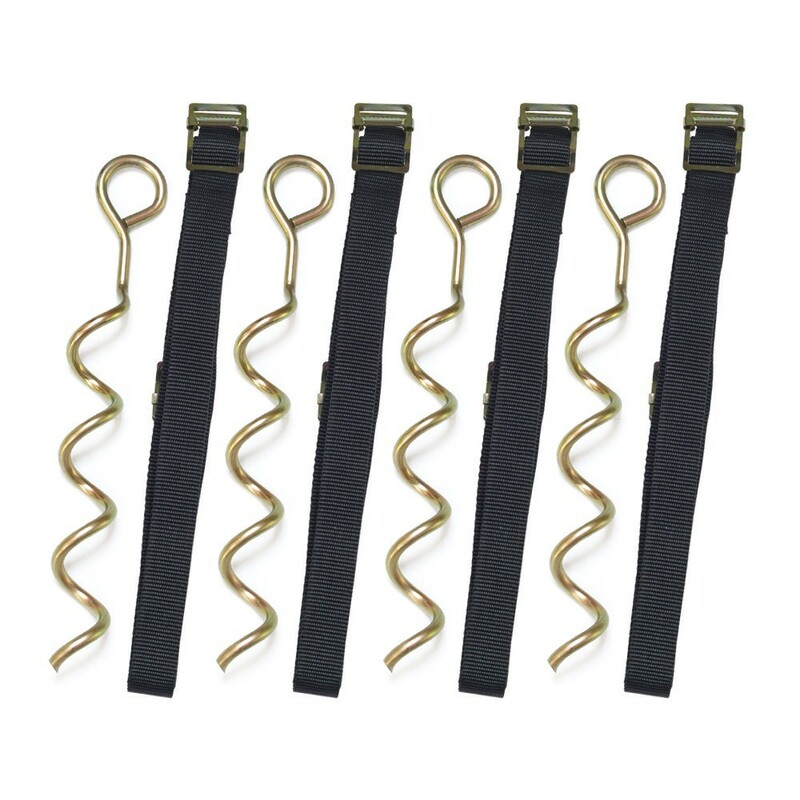 - This anchor kit is specially designed for the 16ft Ovalie 490 & Apollo Sport 500 trampoline. The structure of this trampoline stands at 95 cm from the ground, which is higher than the average 12ft / 3.60 m trampoline and more. 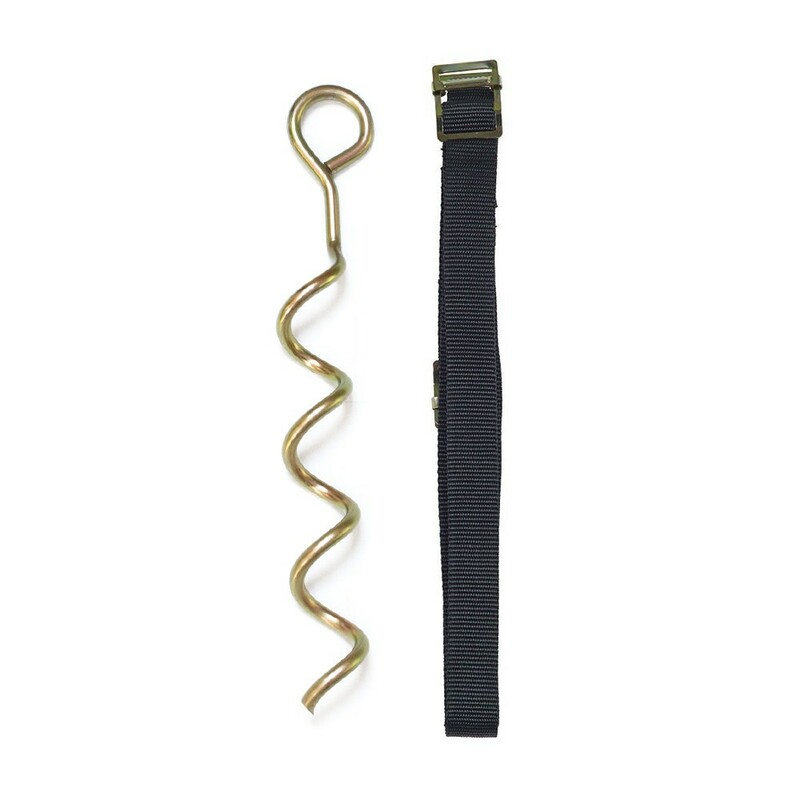 - This accessory will allow you to safely fix your trampoline to the ground, thanks to longer straps than on the standard anchor kit. - Made up of 4 long, finned rods, that you screw into the ground, the feet of your trampoline and the galvanised steel frame will be firmly held down. - Each finned rod must be sufficiently and firmly screwed into the ground into to hold the strap that will be put under pressure in the case of strong winds. The Ovalie 490 measures 4.80 x 2.84 m meaning it is likely to catch the wind: this accessory cannot ensure 100%, that the trampoline will not move in the case of exceptional weather conditions (storm, violent wind…). This can also depend on the nature of your soil. If you are aware that a storm is coming, we advise you to remove the jumping mat from your trampoline.